DBTY! : The Cake is a lie! On public demand, more from the ever so awesome Style Of Eye. All must party, all must dance, there will be Kickersbar. Frickin frick thats awesum! And pherhaphs there'll be a little swedish surprise well there? If I'm going I'm totally passing like 50% Style of Eye-tunes. By the way, can't really call myself DJ T'inkiet if im playing in froggy-land. 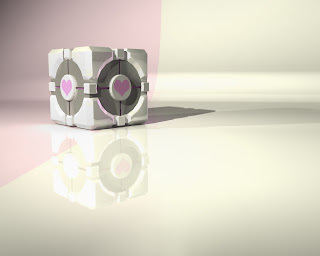 Thinkin about Dj Companion Cube as a new alias. How's that for a gaming-name!? ofcourse your going. I'll kill you if you dont!